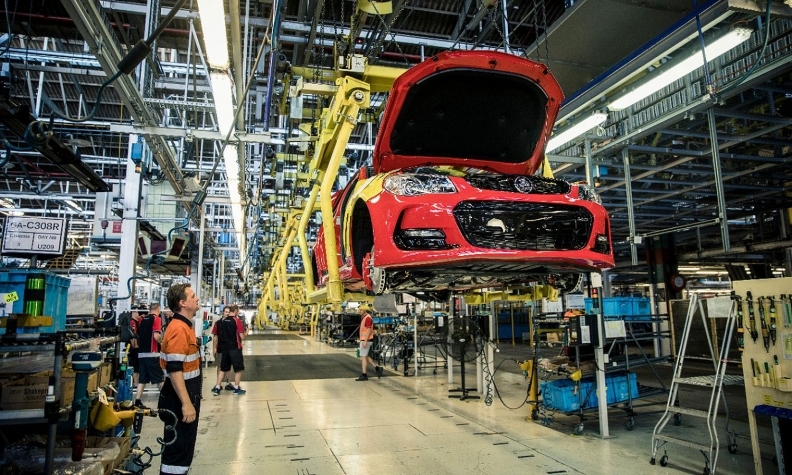 The final Holden built in Australia, pictured, rolled off the production line last year. MELBOURNE -- UK industrialist Sanjeev Gupta will bid for industrial assets at General Motors' former Holden manufacturing site in South Australia, according to the state's treasurer, aiming to use the equipment to build electric vehicles. If successful, the purchase would bring Australia's now defunct car manufacturing industry back to life, and add to a string of ambitious investments by Gupta, who is the chairman of GFG Alliance. "Based on discussions I have had with the GFG Alliance I understand that, should they be the successful bidder, they intend to develop the site as a manufacturing base for an electric vehicle," South Australia state treasurer Tom Koutsantonis said in a letter to GM dated Jan. 17 and released to Reuters. GFG Alliance wants to use technology developed by its partner, Gordon Murray Design, to build the EVs, Koutsantonis said. GFG Alliance and GM Holden declined to comment on the proposal. The industrial assets will be sold as part of a global auction. Australia's near 100-year automotive industry came to end in October after GM shut its plant to move manufacturing to cheaper locations. The closure came a year after Toyota Motor and Ford Motor also moved out, eliminating thousands of manufacturing jobs. Australian Prime Minister Malcolm Turnbull and other lawmakers have met with Gupta, who recently rescued Australian steel maker Arrium's Whyalla plant and outlined ambitious plans to develop large scale solar and battery projects to help power the plant in South Australia.